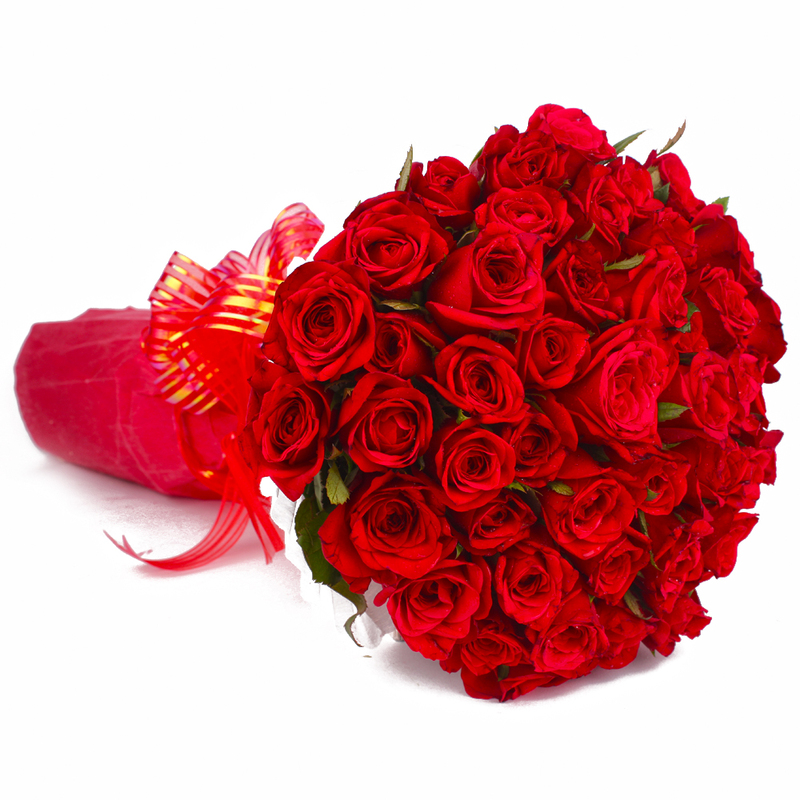 Product Consist : 40 Red Roses with green fillers in Tissue Paper Wrapping with Ribbon Bow on it. Flowers always make the best gift. 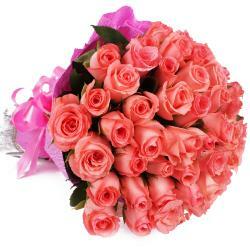 For any occasion, a gift of Roses is always the best. 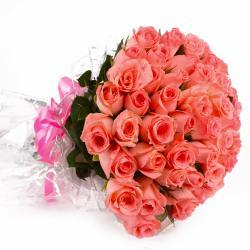 It is considered as the epitome of your love specially when gifted on occasions like Birthday, Anniversary, Baisakhi, Dhanteras, Womens Day etc. 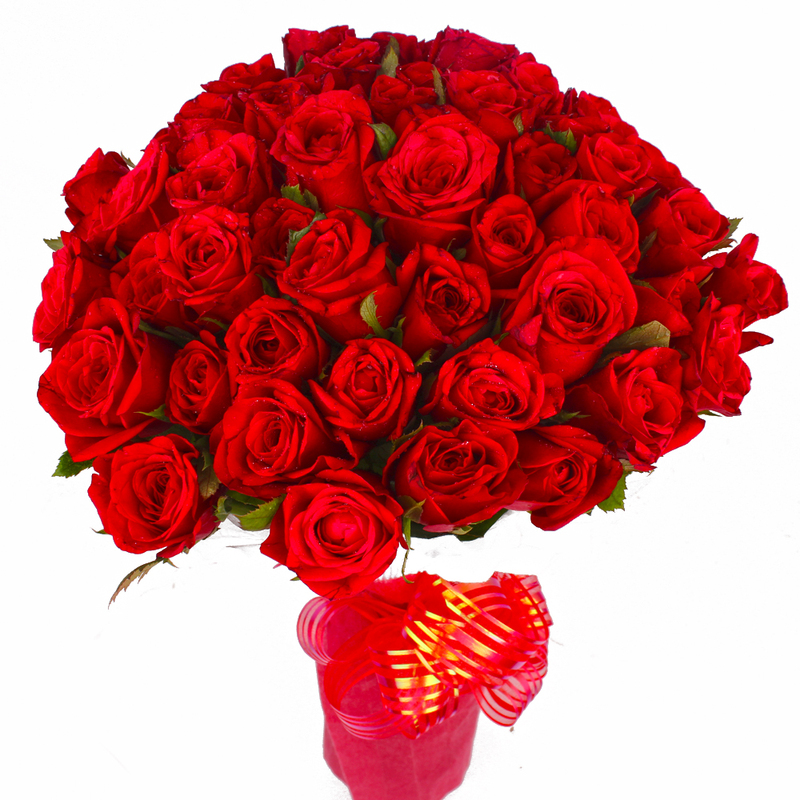 You can send your love in the form of beautiful flowers specially arranged red roses, We have a bunch of spectacular looking forty red roses that are tied fabulously in cellophane wrapping with a matching bow. 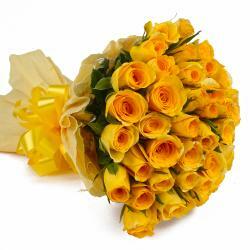 They are fragrant and fresh enough to make an everlasting impression on your loved one. 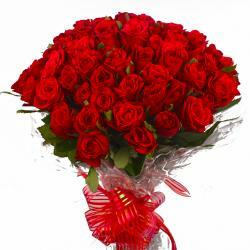 Product contains : 40 Red Roses with green fillers in Tissue Paper Wrapping with Ribbon Bow on it.